Just beautiful Anne! I love the warm looking honeycomb and the bees look almost real - although they're certainly more glamorous than the bees around here! 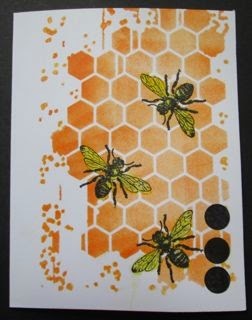 What a fabulous use of a stencil and the bees....actually, fabulous use of "threes"! 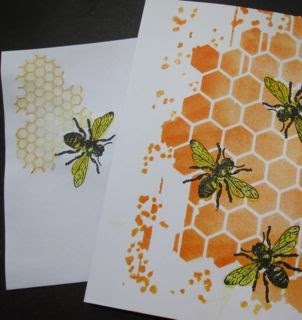 Your stencilling is fab and you can almost hear those bees buzzing. 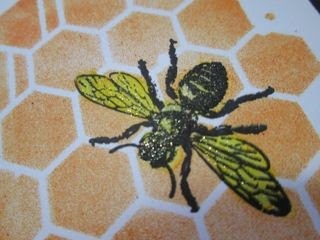 love the detail- sparkly wings.. the stenciled honeycomb is a great background..great bee card. 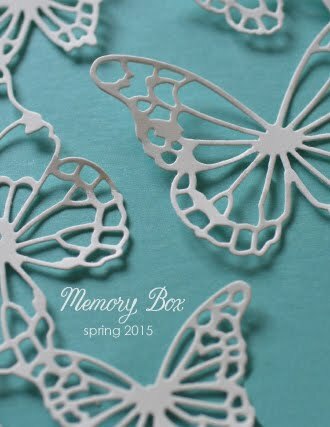 Love the memory box stencil and all if the lovely details on your card - great design! Brilliant card, I love the little bees. 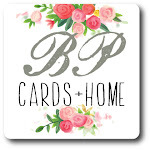 Love your three B's ... it's BBBrilliant!!!! Cute card idea... 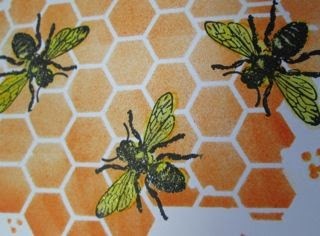 I like the way you did the behive background. Nice work! I love the work you put into this card, Great work! Cute card idea. I love the little bees. I "need" that stencil! Such a beautiful design. This is a superb card! 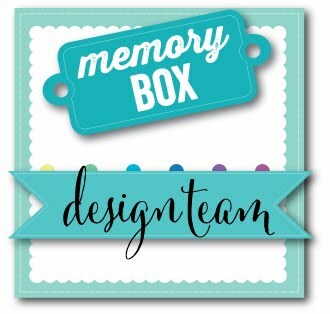 I saw this on LIM and just had to tell you it is fabulous! 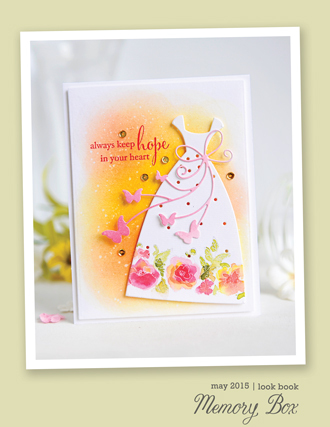 Your card is amazing, I just love all the details!! Wow - what an amazing card. Almost looks realistic with the warm colors and the fantastic bees. Nice job! !